If your cat displays resistance to veterinary care, you’re far from alone. Many feline owners face trouble en route to the animal clinic, from struggling to get the cat into their carrier to facing scratches once they finally arrive. Thankfully, there are ways to make the appointment easier. The local veterinarians at Wisconsin Rapids, WI’s Animal Medical And Surgical Clinic share helpful advice on making your cat’s next vet visit stress free. Making your cat comfortable with the animal clinic can be as simple as handling them often at home. Providing your feline with head-to-tail checkups will help them get used to this type of touch, making it less stressful during their next vet visit. Before heading to the clinic itself, reduce stress by playing with your pet. A little affection goes a long way. 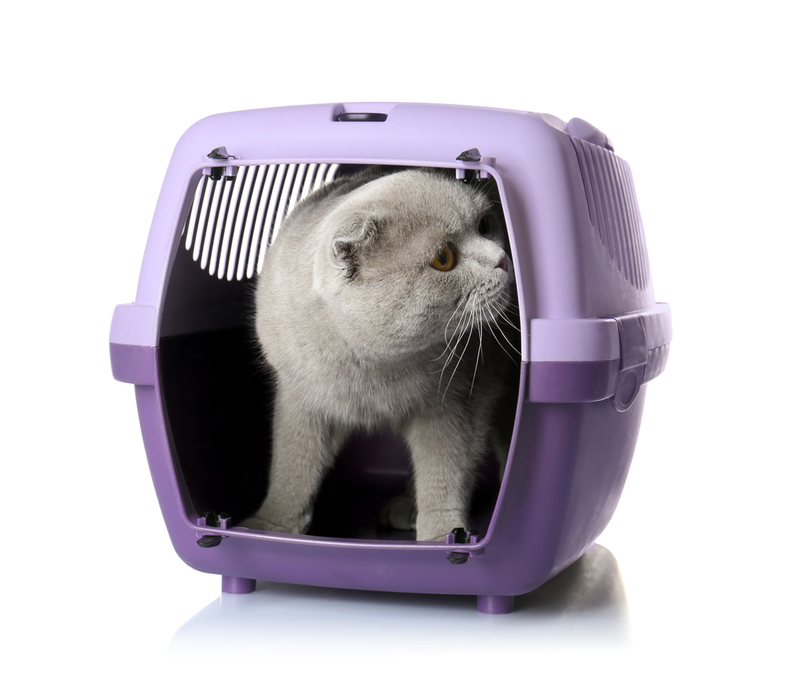 Many cats associate their carriers with a vet visit, so try to make yours a more comfortable place for your feline. Keep the carrier in the living room, lay a warm blanket inside, and fill it with their favorite toys. If your cat uses the carrier to play and take the occasional nap, they’re less likely to associate it with the stress of veterinary care. That way, when you do put them in the carrier to go to the clinic, they’ll be way more comfortable. Aside from the trip itself, the waiting room is the place most likely to provoke fear. Crammed with other anxious animals, it’s a stressful area for your cat, so schedule a visit when your local veterinarians are less busy. The easiest trick is to keep your cat away from any irritation; once they’re acclimated to the carrier, keep them inside and cover with it with a blanket. When they can’t see other anxious pets, your furry friend is more likely to relax. Making your cat’s next vet visit stress free is as simple as using a few tricks. When you’re in need of high-quality veterinary care, count on the professionals at Animal Medical And Surgical Clinic. No matter what your pets need, these compassionate professionals can help. Learn more about their services online, or call (715) 421-2006 to schedule your cat’s next appointment today.